Value minded RV customers have been enjoying the Forest River Cherokee line of campers for years. 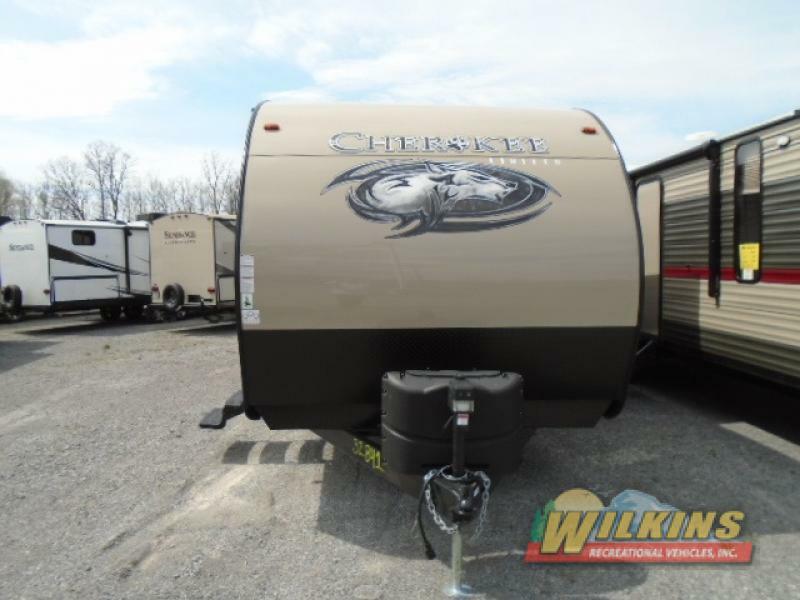 Cherokee travel trailers are renowned for their long list of upgraded features, huge variety of floorplans and highly competitive price tag. Families and couples alike will find just the right Cherokee RV model to match every camping need. 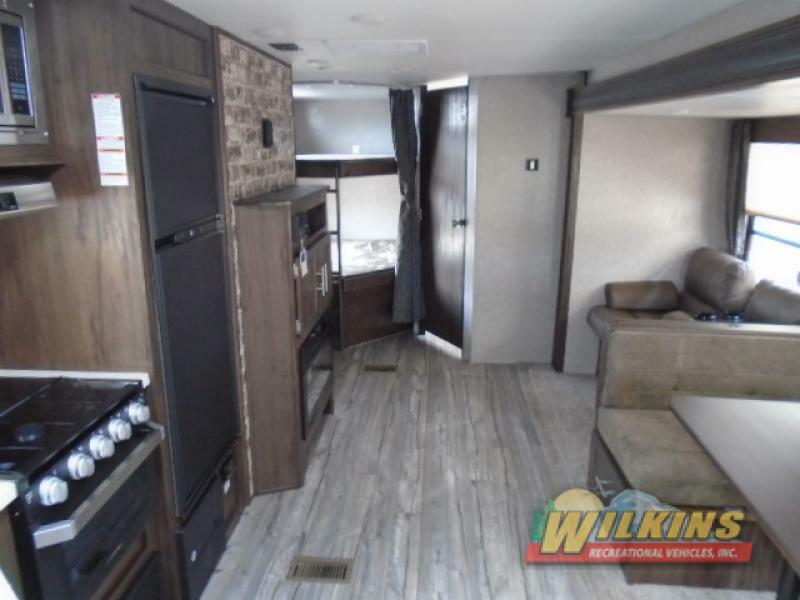 Here we’ll take a look at the variety of lightweight to luxury Forest River Cherokee RVs for sale at Wilkins RV. 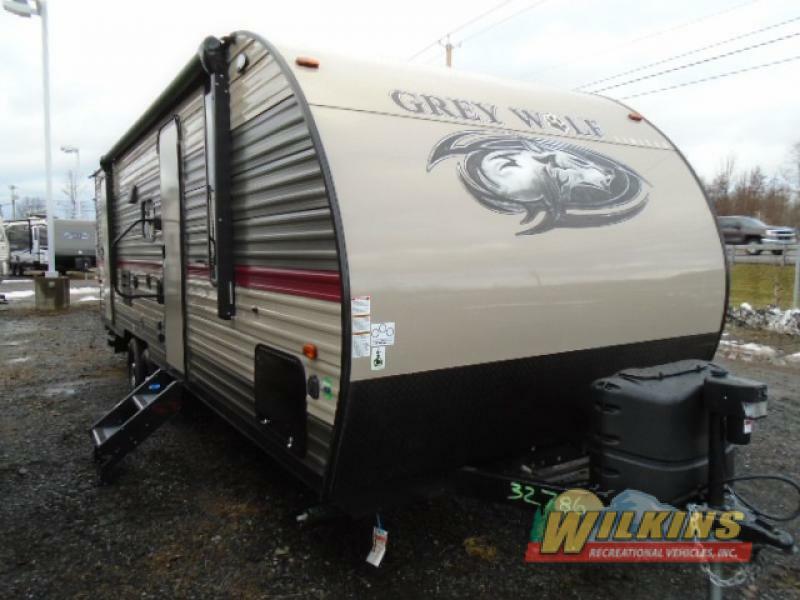 For easy get up and go camping, the Cherokee Wolf Pup is the perfect choice. The lightweight and affordable Wolf Pup is a popular travel trailer for weekend getaways and campers looking to upgrade from their tent or popup. With an aerodynamic front profile and compact size, the Cherokee Wolf Pup is easy to tow and fun to use. The Wolf Pup make outdoors camping adventures so much more comfortable and convenient! The ever popular Cherokee Grey Wolf offers a huge selection of family and couples friendly floorplans to cover a wide range of travel needs. Choose from models with or without a slideout room, depending on your weight and space requirements. There is a large variety of bunkhouse models available that can sleep up to 8 happy campers. Share the fun and bring extra friends along for the ride! 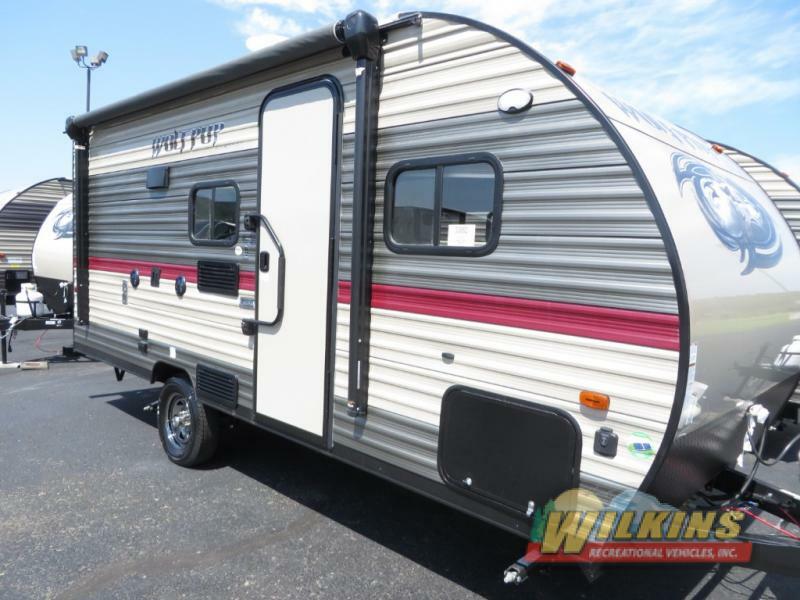 For upscale class and comfort, the Cherokee Travel Trailer is your top of the line pick. The Forest River Cherokee includes upgraded decorative accents, and spacious floorplan designs at an affordable price point. 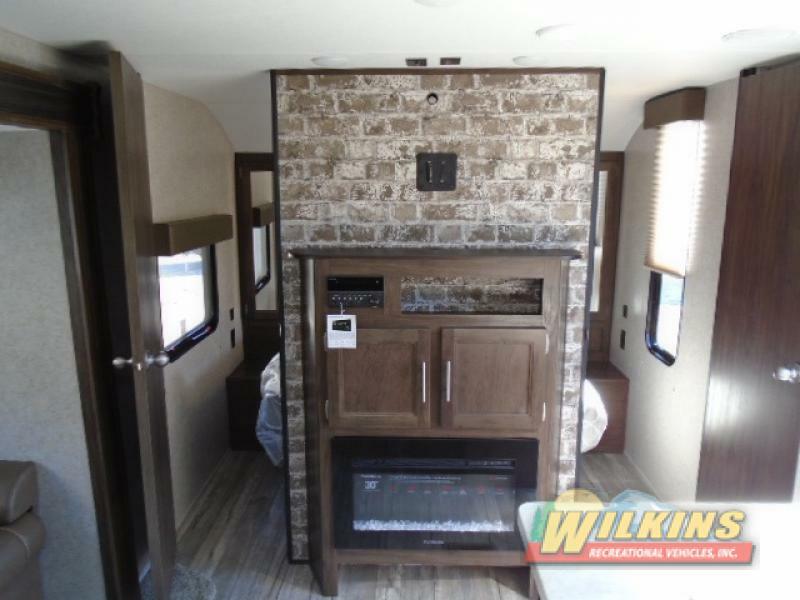 Inside the Cherokee RV’s interior, you will find beautiful faux stone accents, an optional electric fireplace (depending on the floorplan), huge picture windows and an oversized U-shaped dinette on all bunkhouse models. The Cherokee kitchen is top class with solid surface counter tops, solid wood door fronts, upgraded glass mosaic tiled backsplash behind cooktop and more! 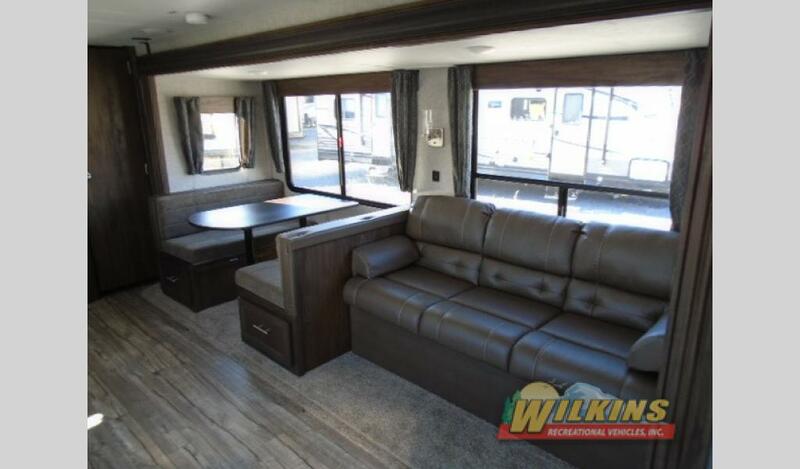 To find out which Forest River Cherokee Model is right for you, Contact Us at Wilkin’s RV in New York state. Let’s go get ready to go camping!